Our goal is to inspire, encourage, and empower. We’re here because we’ve been in your shoes. Stressed out, over worked + not feeling the least bit creative. Every day there’s a new demand for more content, and you feel like right when you think you’ve got it all covered, you realize you haven’t updated your website or social media with fresh content in a month. We’ve created TSLR Lifestyle to give you time back in your day so you can finally plan a date night with your babe. Go on a getaway with your girlfriends. Spend a weekend enjoying your family and friends company. A full night of sleep. Freedom to take a 2 hour lunch. All of this is possible when you finally realize that it’s time delegate your content creation, and focus on your strengths instead. We’re experienced creators that will streamline your visual strategy + create monthly custom content that you and your clients will obsess over. We got you babe! Stephanie Tusler - With a background in design and photography, she's worked in the creative industry for 7+ years. In 2017 she committed to creating a brand that fully encompasses her interests by launching TSLR Lifestyle. 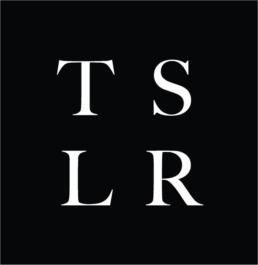 If you align with our vision, and want to be apart of the TSLR team, send us a note! We’re currently offering internships and part-time positions in creative and administrative roles. Email HELLO@TSLRLIFESTYLE.COM to start the conversation.